Tortoises - super kid friendly wildlife! 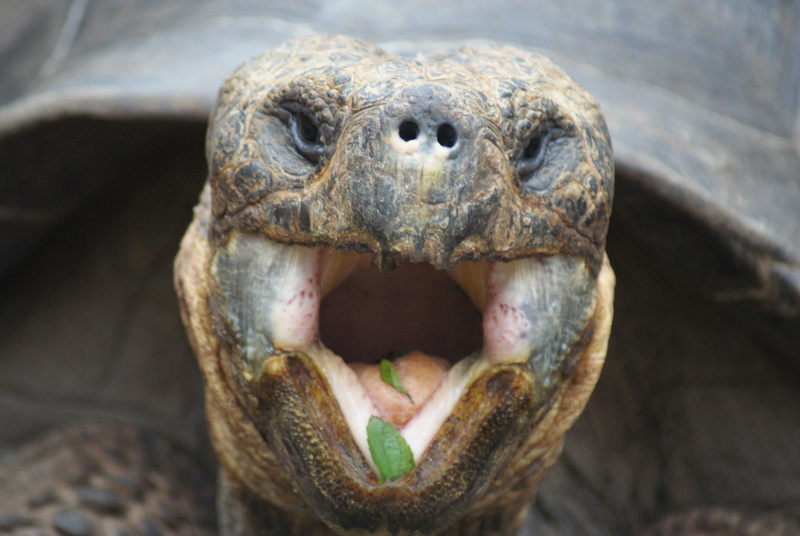 For most of us, the Galapagos are synonymous with one land animal – the Giant Tortoise. We spent the last couple of days of our explorations visiting some of the final refuges of these strange creatures. I had read some amazing facts about the tortoises here – it seems like they could have arrived on rafts of foliage from the Amazon jungles hundreds of thousands of years ago, and due to the lack of predators they then spread across the major islands in huge numbers. I learned that they probably live longer than any other animal in the world – perhaps as old as 150 or maybe even 200 years. And I discovered that in a very short space of time – a hundred years at most, they had almost become extinct at the hands of us humans. It seems that tortoises make excellent eating. And since they live so long they last long. And, when tuned on their backs, they can live for up to a year without food or water. All this made them the ideal protein source for whalers in the 18th and 19th centuries. The Galapagos was a fuelling station for whale boats at the time, and apparently each boat would take up to 600 tortoises from the islands, turn them upside down in the hold and over time they would be eaten. 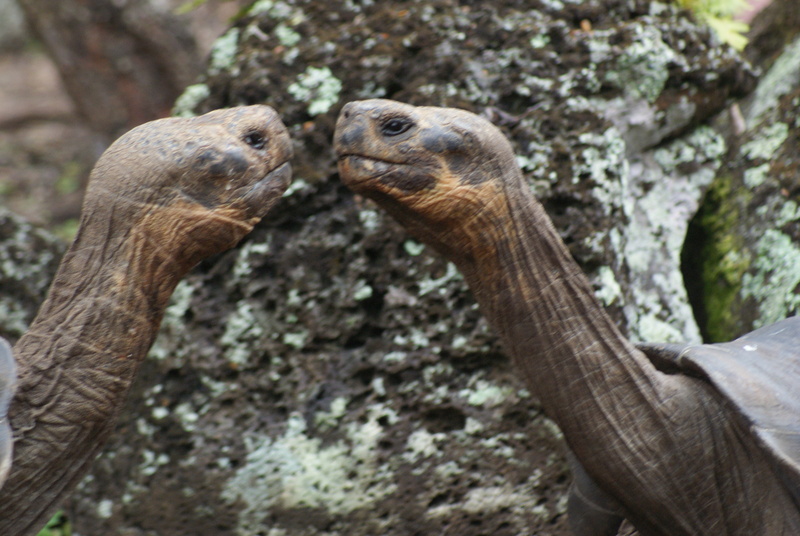 It is estimated that over 200 000 tortoises were removed from the Galapagos. What this meant is that by the time the National Park was established by the government of Ecuador, the giant tortoise was almost extinct. Today, one still finds them, but they are now limited to protected areas. We went to two of these – on Isabela and on Santa Cruz. Despite what they have suffered at the hands of humans, they spend a lot of time with their heads out of their shells. We were amazed by how long their necks were, and we saw them eating, fighting with each other and more. When you get really close up, they look a lot like ET from the Spielberg movie – I wouldn’t be surprised if ET was based on them. Gal loved the tortoises – they really look like a throwback to much more ancient times – in fact, if you look at the incredible reptiles of the islands – the marine and land iguanas and the tortoises, one quickly realises that the world was a very different place in the Age of the Reptiles. 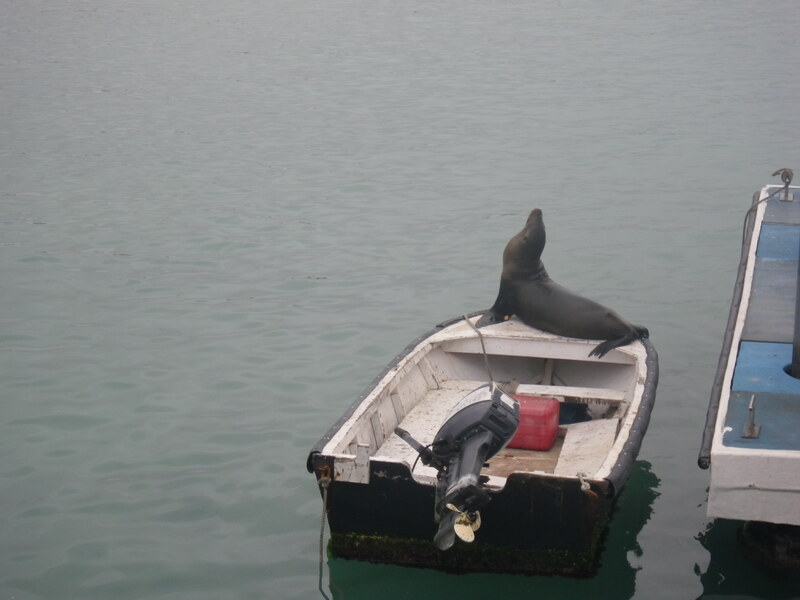 Our Galapagos trip had sped by too fast – it was without a doubt one of the greatest trips we had ever been on – like setting foot in another world completely. The National Park authority has stepped up efforts to maintain the pristine nature of the islands – a new system that begins in 2012 ensures that the itineraries of boats are controlled by a master plan so that not too many boats visit each island every day. The fact is, we never saw more than about 20 other visitors on any island we visited , apart from the main inhabited islands such as Santa Cruz. The Galapagos really is a destination built for families. The animals are not scary, and it felt 100% safe at all times – and I have never come so close to so many wild animals as in the Galapagos. Before we knew it, we were saying good bye to our new friends amongst the passengers and crew, and boarded the flight to Quito, where our Ecuadorian adventure would continue. I am now planning family trips to the Galapagos. For more details, click here. 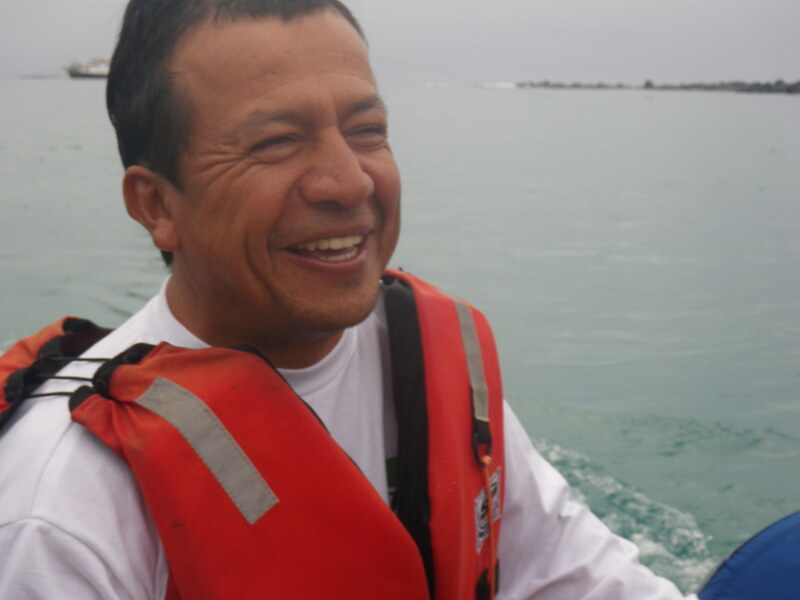 Camillo - crew member and new friend. 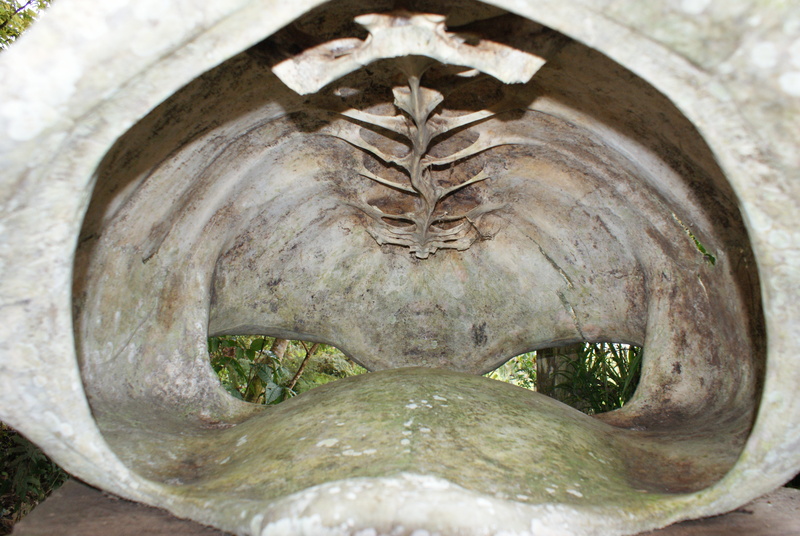 Did you know...the tortoise cannot live without its shell - the spine is an integral part of it. Such long necks - who would have guessed? 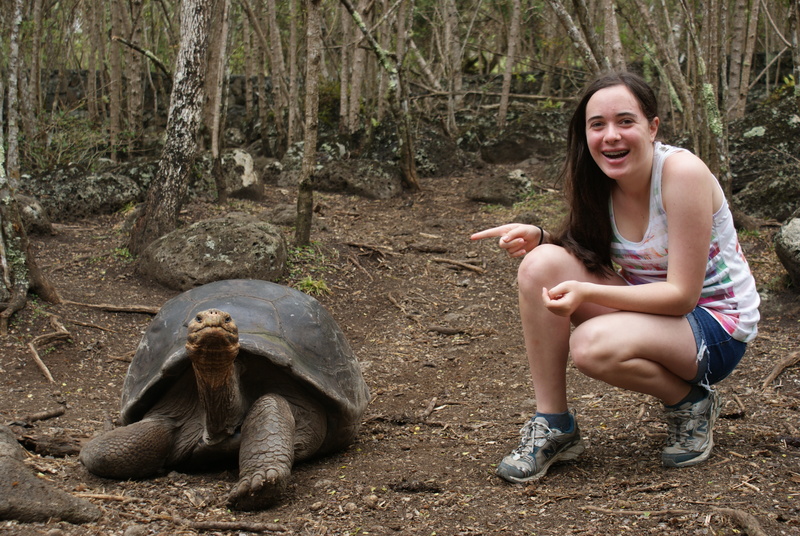 « Galapagos with Kids. Days 5-6: Blue Footed Boobies and elusive land iguanas.